To reach the Raja Ampat, travelers must fly to Sorong, Papua, and then we have to down sea as far as 71 km to arrive in Raja Ampat. Beauty of the scenery and marine life does make a lasting impression for tourists. For underwater lovers and coastal tourism, Raja Ampat are very well known even considered the best in the world for the quality of coral reefs. If you are a marine researcher, or underwater life, the Raja Ampat is the most appropriate place so that you will enrich your marine science to be distributed to the students, and anyone who is an observer in the field of ocean and all its aspects. 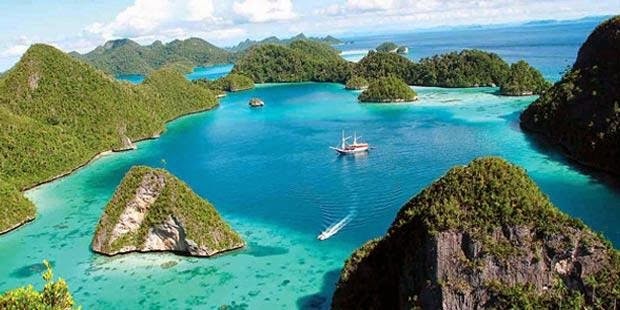 Raja Ampat has made many people captivated by the scenic beauty of many small islands. Your eyes will not escape the amazing landscape in this paradise. 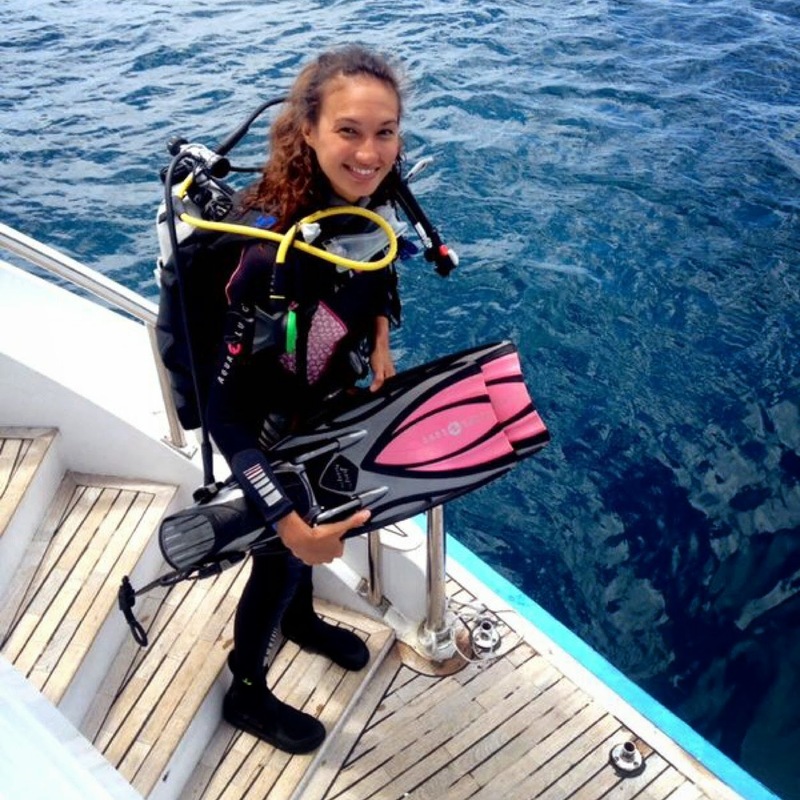 Amateur and professional divers are also very impressed with the different species of fish and underwater plants, and the enormity of the coral reefs, as well as various colors and types. There are many oceanographers, marine biologist and international underwater photographers capture the charm of the sea Raja Ampat. Some even come over and over again and make a special book about the beauty of coral reefs and marine life of this region. Mid-2006, a special team of the world's leading scientific adventure magazine, National Geographic had a cover story in Raja Ampat and became a major report in 2007. Tourists dive almost every day because the dive sites are very wide and varied. The beauty of coral reefs are varied so much choice and invite curiosity. There are tourists who are aged 80 years is still strong diving. 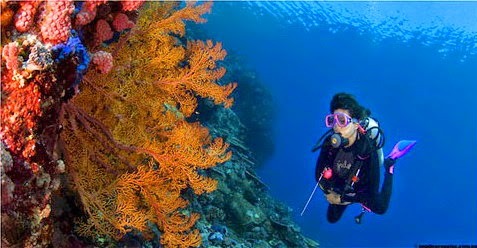 Raja Ampat has been visited by divers from around the world. 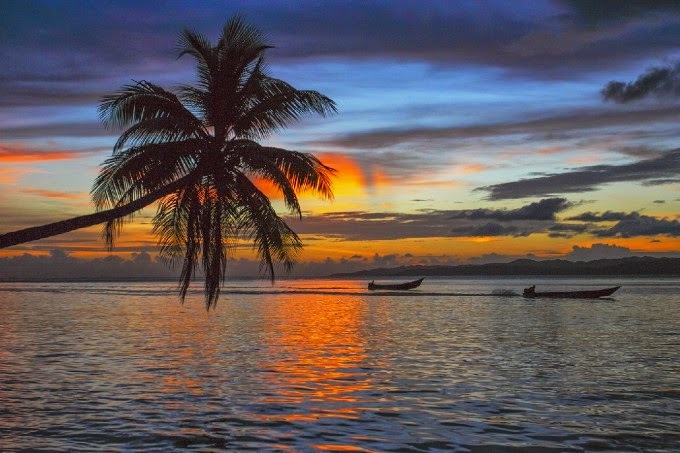 The islands are located in the center of the triangle and has the world's coral biodiversity is stunning. 75 percent of the world's corals species here, according to a survey of The Nature Conservancy. Types of fish had reached more than 1000 species - this property makes Raja Ampat is called "fish capital of the world". Raja Ampat as known since1990s as a place of incredible diving in the world.You will be amazed with the beauty of Raja Ampat. Bring your digital camera with zoom lens, with extra batteries and memory cards. 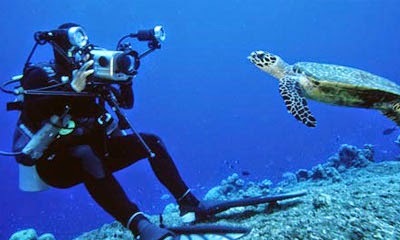 If you can dive in, remember to bring an underwater camera equipment. Underwater scenery in Raja Ampat is stunning. 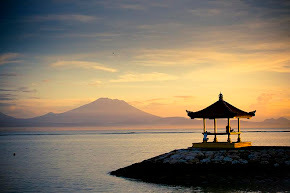 Once you get there, then you will get wonderful experience and beautiful memories in your life. Let's adventure and holiday in Raja Ampat, and capture the best moment in paradise.